Today we want to introduce a campaign that we think is awesome!! 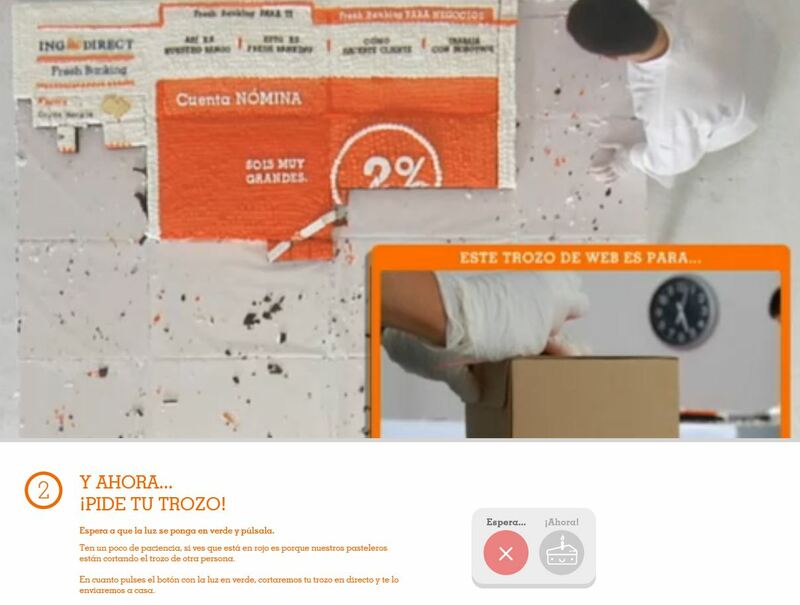 It is ING Direct, very qualified online workers, and here they show us it with a good example. Because of his 14ᵗᵸ anniversary, yesterday they launch a campaign called “Eat ING Direct´s web”; #cometelawbdeINGDirect, where you could let them know your information, such as your name, your ID and address where they sent you a piece of pie. But this wasn´t a regular pie, this was a pie with thw ING Direct home page shape. They have posted a streaming video which you could watch how thry were cutting the pie into peces and putting them in boxes with the people´s name bumper. They called you to let see how they were packaging your own piece.